Photoshop’s text tools can create some truly mind-blowing effects. 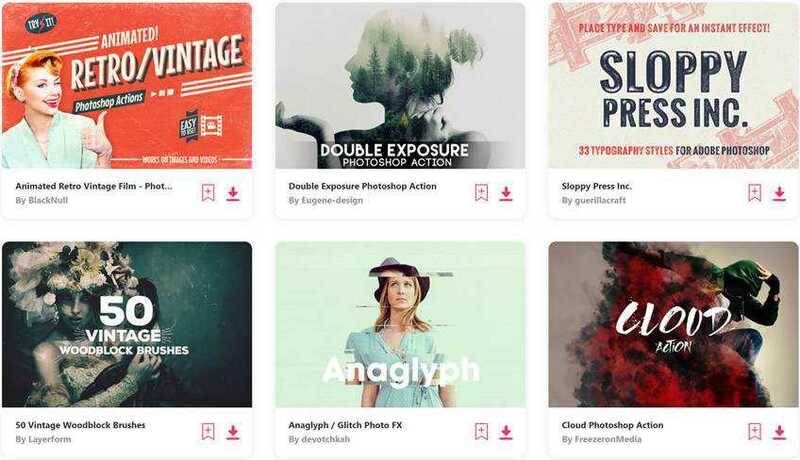 Whether you’re designing a logo, a banner, posters, t-shirts, or even ads, Photoshop comes with the required tools to help you inject some awesomeness into your text effects. Of course, there are many tutorials that will teach you the basics of typography, but sometimes you just want something more, something that just screams creativity! 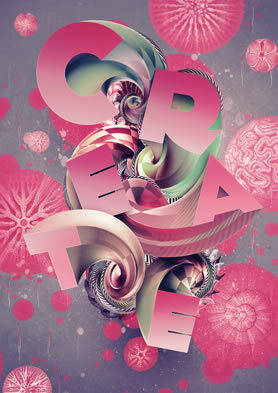 You will find 50 of those Photoshop text effect tutorials in this post. You might also like: Top 100 Tutorials for Mastering Photoshop. 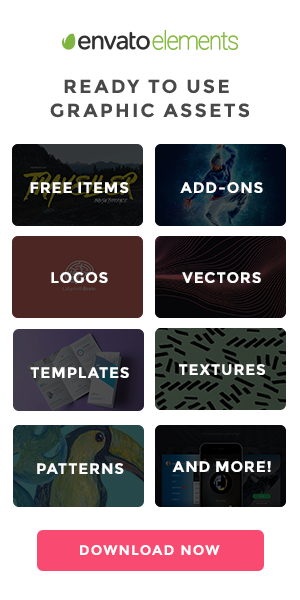 Unlimited Downloads: 500,000+ Actions, Brushes, Mockups, Web Templates & Much More! In this tutorial, you’ll be shown how to create a 3D-looking textured text effect in Photoshop without the need for any 3D tools or applications. All you will need is the ability to create the above text effect is a good idea of perspective so that you can modify light distribution with the help of the color correction tools (Burn Tool and Dodge Tool). The techniques and concepts you’ll learn here can be used to apply any texture (not just skin texture) to any text for simulating depth and lighting precision. In this two-part tutorial, you’re going to learn how to bring a simple proverb into a complex typographic illustration that achieves a level of realism without actually using any photos. In the first part, you'll learn how to model your objects in Cinema 4D and prepare them for isolation in Photoshop. In part 2, you will take all the pieces of the puzzle and finalize them. In this tutorial, you will be shown how to create a super quick abstract composition with light effects and apply that as a texture of text. You will be playing with Brushes, Blend Modes, basic filters (Blur and Liquify), and, of course, text. Here you will learn how to create an atmospheric underwater text effect using a few simple steps. You will learn how to properly extract water, and manipulate it to fit your typography. This in-depth tutorial is about giving your typography illustration a fresh touch and experimenting with traditional and digital media, mixing patterns and textures to give your work an extra personal spark. For this tutorial you will need basic Adobe Illustrator and Photoshop skills and some cheap watercolour paint. Afterwards, you should have acquired hands-on techniques you can use on work ranging from typography to editorial to photo manipulation. Follow this step by step walkthrough of design process for the ‘Spectrum’ poster. Starting with custom made type in Illustrator, you’ll move the vector graphics into Photoshop for some serious distressing with Photoshop brushes, blending modes and more! In this tutorial you will be shown how to create cool water typography effect in Photoshop playing with stock photos, blend modes and filters. You will also use some water splash brushes and smooth gradients to give a splish-splash feel to our design. In this Photoshop tutorial, you’re going to create a retro-looking text that appears as though it’s constructed using folded strips of paper. Prepare yourself to heavily rely on Photoshop’s Lasso Tool, as well as some other basic tools and simple techniques. In this tutorial you will learn how-to make a music equalizer and then apply the equalizer effect on to text using some awesome techniques. The new 3D tools in Photoshop CS5 are more advanced than ever. In this tutorial you will use the new Repoussé tool to extrude some text in a way previously only possible in a full 3D application. 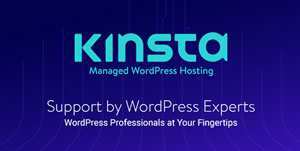 You are going to create a retro-colored psychedelic background, which you will then apply to some text. The purpose of this tutorial is to learn how to mask out an image so that it just shows through the editable text, making it friendlier to modifications later on. 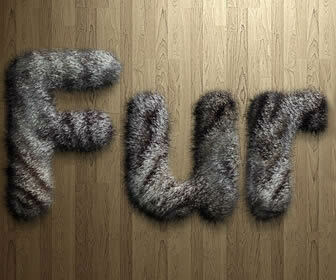 In this tutorial you will be shown how to create a text effect using a photo of rope and the new (CS5) Puppet Warp tool. This tutorial will only work with the CS5 version of Photoshop. In this tutorial, João Oliveira creates a 3D typographic illustration using initially Cinema 4D for building the 3D, followed by Photoshop for the post-production. This tutorial explains the techniques for creating the 3D number candles above without using any 3D tools. It will then guide you through the other sections of shaping the candles, adding lights and shadows and finally placing the candles on top of a cupcake. In this tutorial you will be shown the steps to recreate the Electrified Metal Text Effect above. It will cover a number of selection techniques, as well as how we to use the right textures to create this unique text effect. This tutorial will show you some tips on how to use the Pen Tool, along with some Brushes and Blend Modes, to recreate the striped road inspired text effect above. Using CS6 Extended all-new 3D interface, this tutorial will explain how to use those new 3D features to create an amazing autumn-themed 3D text effect. This tutorial will show you how to create a stylish ornament typography and then apply a chalkboard effect using Adobe Illustrator, Photoshop and some vector ornaments. In this beginner tutorial you will be shown the steps to create the 'Magical Fire Energy' text effect you can see above. You will be tackling painting, layer blending, and image adjustments. In this tutorial, you will be combining Photoshop and Filter Forge to create a wood textured 3D text effect with a simple red glass heart. In this time consuming tutorial you will learn how to create an Art Deco image and text effect based on the poster of The Great Gatsby movie, using Illustrator and Photoshop. In this beginner level tutorial, using custom brushes and the liquify tool, you will learn how to recreate the beautiful fluid typography you can see above. This tutorial will show you how to create your own scrabble tiles set from scratch, so that you can use them anytime with any background you like. This Valentines themed tutorial will show you how to create a scrumpicous chocolate text effect using Layer Styles. In this tutorial, you will be shown how to combine Photoshop with Filter Forge to create a glowing 3D text effect. This tutorial shows you an easy method for create a beautiful bokeh text effect, using a simple brush and a layer effect. In this tutorial you will learn how to create an old signage text effect using stock photos. As a bonus you will also create a simple animated GIF.